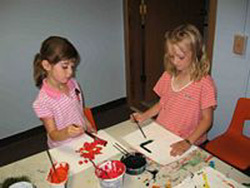 The Children's Museum, Missoula has a fun, interactive learning opportunity that allows you to explore your interests and abilities through play. The Museum is a destination where kids can be kids and grownups can network with other parents and caregivers and feel like part of a community. We have positive learning experiences, developmental growth and quality family time. Hands-on exhibits and weekly programs for kids ages infant through 10! 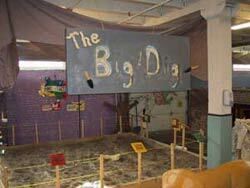 Exhibits include Busy Babies, Dino Dig, Water Works…Wonders! and a beautifully made Forest Exhibit. Children's Museum of Bozeman. 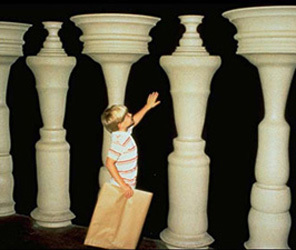 Can you see the people between the columns? 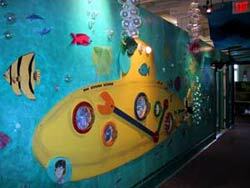 The Children's Museum of Bozeman has hosted over 75,000 children and families since opening in 2001. The museum presents hands-on, sensory exhibits and programs that foster imagination, curiosity, creativity, and self-confidence. 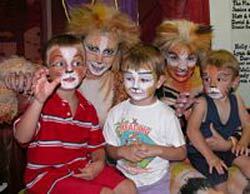 Our goal is to enrich our community by providing a space where families can enjoy the magic of shared learning. Favorite exhibits in our multi-level space include AR Sandbox, Bubble Wall, Bernoulli Blower and a 110 gallon native Montana fish tank! Our outside play space features a Sabertooth sandbox, a Play Hive, a Pollinator Garden, and a Bug Hotel. In addition to our exhibits, the Children's Museum offers After-School Programs, PIR Day Camps, Summer Camps, and daily self-guided programs in our Activity Zone. We have had great success with STEAMlab, our powerful new engine of learning and high-tech maker space where kids ages 8 and up explore topics in electronics, coding, engineering, 3D design and robotics. During the school year, we offer a weekly Open Lab on Tuesdays from 4-7 for middle and high-school aged kids, and a bi-monthly “adults only” STEAM meetup to encourage interested community members to learn more about the world of coding, 3D printing and high-tech fabrication. Friday: 10:00am - 5:00pm; open until 8:00pm on 2nd Friday of the month. Saturday: 10:00am - 5:00pmMonday - Thursday: 10:00am - 5:00pm . From Seed To Market – Come learn about the agricultural process of farming. From viewing the root system of vegetables and grains to pretending at our child-sized farmers market stand! Music Heard From Around the World - Travel to other countries across the globe and experience the musical instruments they use while learning how these cultures use music in their lives. Excavation Station - Practice your Paleontological skills as a dinosaur excavator! 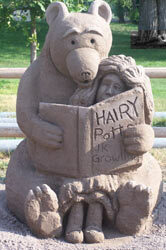 In our sand pit, with brush in hand, you uncover fossils of these creatures that once roamed the earth. Lights, Camera, Action - Everyone will have fun putting on and watching puppet shows in this whimsical theater. 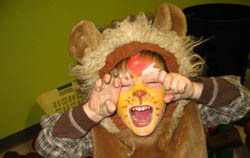 Also, take your inner actor and dress up in fun costumes on stage! Castle of Make Believe – Come to the land of Pretend and Imagination as you dress up as Harry Potter, Fancy Nancy, a firefighter, a princess...whatever your imagination can discover with our clothes, hats, and shoes. It all takes place under a simply gorgeous castle canopy. 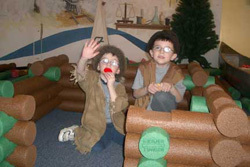 The Children's Museum of Montana exists to ignite a lifelong passion for learning through hands-on interactive exploration of science, math and culture. 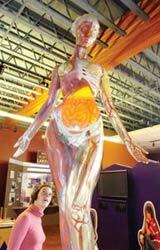 The Children's Museum of Montana offers the most fun per square foot for everyone! Some museums ask their visitors not to touch the exhibits. ‘Look with your eyes, not with your hands,' they say. That never happens at the Children's Museum of Montana. In fact, every exhibit in the entire museum is designed so you can touch, poke, raise, lower, push and examine to your heart's content. Monday - Saturday: 9:30am - 5:00pm. 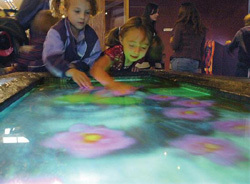 ExplorationWorks is an innovative, hands-on Museum of Science and Culture, where learning is active, fun and shared. ExplorationWorks is thrilled to provide a variety of ever-changing and always exciting programs and exhibits for you to discover. We’ll also host Exploration Science Camps! You can also help your family plan a trip to Montana. Have your folks request a statewide travel packet by sending their mailing address to travelinfo@visitmt.com.